Are These Cannabis Seeds Good? This is mostly because it’s tough to pinpoint when the seed itself is the actual problem. Most growers will blame themselves for a problem that shows up in their grow long before they assume it’s the seeds. The term ‘bad seeds’ usually refers to any type of seed that has a significantly higher likelihood of causing problems in a grow. 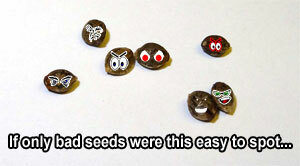 I’ll cover the most common reasons for bad seeds in this tutorial! 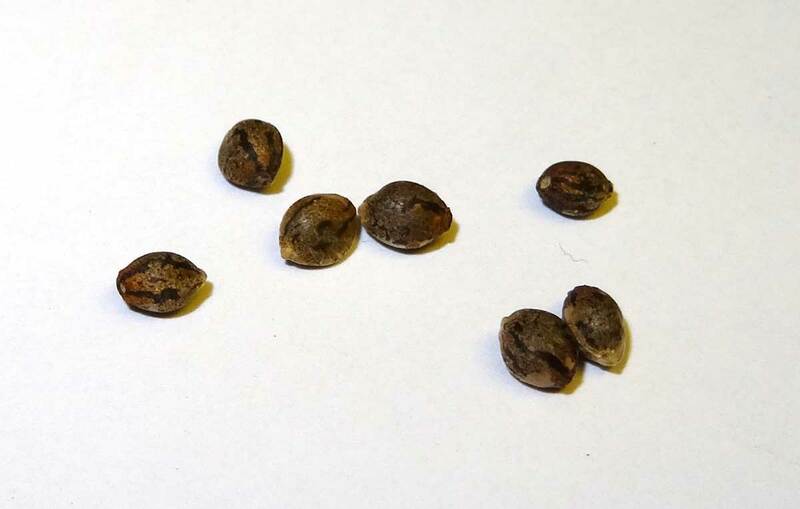 These cannabis seeds were germinated between two wet pieces of paper towel! 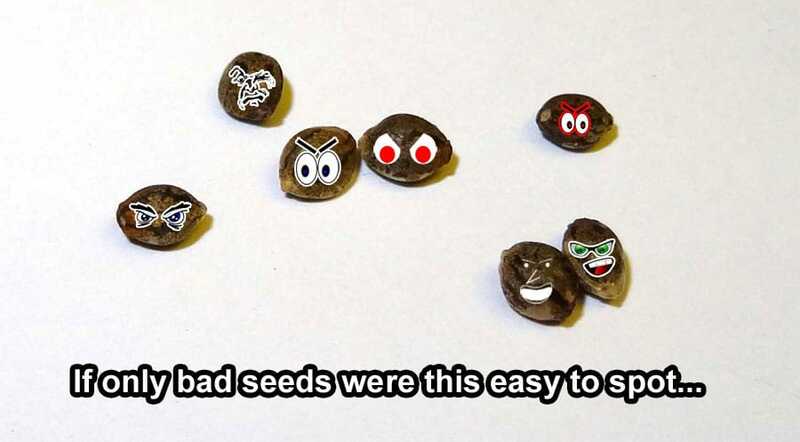 These are pot seeds you might get from a friend, or maybe you have them stashed somewhere and forgot how you got them. In either case, if the shell of the seed looks beat-up, it may not germinate as well or quickly as seeds that were stored in good conditions. 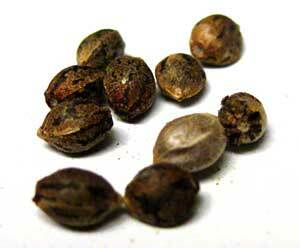 Seeds are a little nugget of genetic material than can hopefully grow into a plant. And like all other genetic material, it doesn’t last forever! Although seeds can be viable for quite years and years after they’re first produced, the chances of them successfully germinating goes down over time (and old seeds also tend to take a lot longer to germinate than fresh ones). The resulting seedlings are also more likely to be slow growing. But sometimes they sprout like they were born yesterday! Check out the picture below. We sprouted all the plants at the same time. The tub on the right has seeds that were planted within a week of receiving them in the mail. The tub on the left has a very popular strain with award-winning genetics… but the seeds were more than 6 years old from when we first bought them. Even though they were all put into the tank at the same time and the new seeds grew like crazy, the seeds on the left got outpaced by algae – only one sprouted and though its roots keep growing and growing the actual never got any bigger than two round leaves even after a month! When I first started growing I was told that good cannabis seeds needed to be very hard with dark tiger striping. If you could crush it between your fingers, it was a bad seed, or so I was told. This has not been my experience at all! 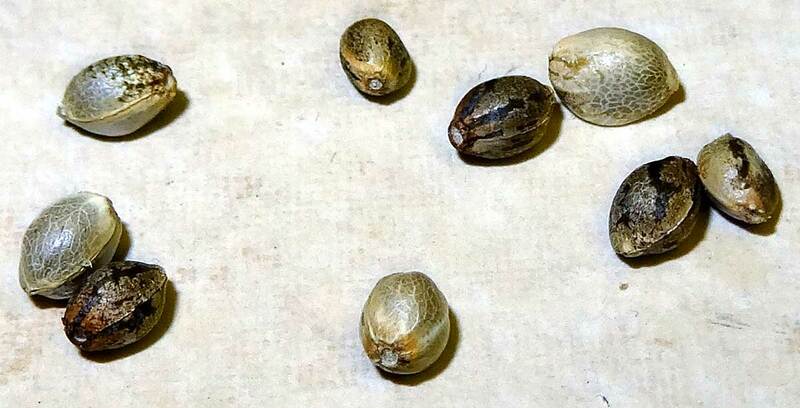 Did you know that the “stripes” on cannabis seeds are actually part of a protective coating? The “pale” seeds in this photo are actually just regular seeds with the coating rubbed off! Over the years, some of my very best plants came from flimsy, light brown seeds that very likely would have been easy to crush between my fingers. So I’m a big believer in the fact that if you put the seed in the ground and a fast-growing healthy seedling comes out of it, it was a viable seed! Don’t toss a seed you are really interested in just because it’s a little pale; give it a chance (I’m talking more about tan seeds, it’s very unlikely a yellow seed will sprout)! Bag seeds you randomly find in your buds aren’t supposed to be there, so that means that the genetics are a toss-up. Even if the seeds started with good parents, there’s no telling how high or low the quality will be. Unfortunately, the only way to find out is to grow it… Some growers win the genetic lottery, but many others lose out. If you talk to breeders, you’ll learn that when you breed two “star” strains together you don’t always get what you’d expect. It seems like every one of the seedlings (or at least most of them) should be capture the best qualities of both their parents. However, that’s not how genetics works most of the time. 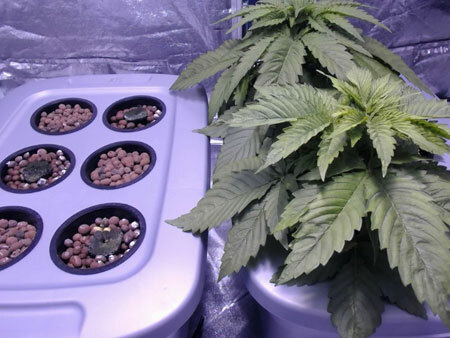 Without intensive breeding and backcrossing, when you mix two random plants you often end up with only a fraction of the seedlings capturing the best of both parents. Bag seeds are a wildcard! You never know what you’ll end up with! So depending on how the seed was originally made, bagseed often has a lot of variety. Even if the buds you got were an incredible quality, it doesn’t necessarily mean that the seeds will produce buds like that. 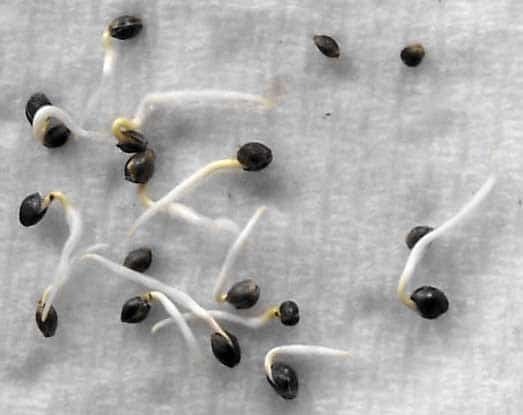 If you’ve ever gotten involved with breeding or growing other types of specialized plants like roses, hops or even apples, you’ll know that seeds rarely breed “true” to the parents, and cannabis isn’t any different. That being said, sometimes bagseed is all you have, and lots of growers get lucky! 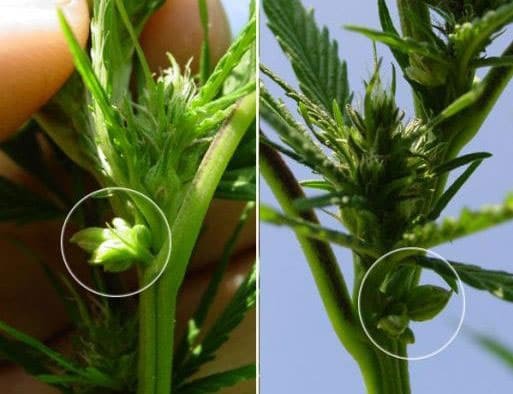 If a cannabis seed was produced with a male doing the pollinating, it means that about half of the resulting seeds will end up being male (which you don’t want, because only female flowers turn into bud). In that case, you want to determine the gender of your young plants as soon as you can so you can toss all the male ones before they start making pollen sacs. What’s the Difference Between Male & Female Plants? If growing with seeds that were produced without a male plant around, the seeds sometimes end up being hermaphrodites, which means they grow both male pollen sacs and female flowers (again, something you don’t want). 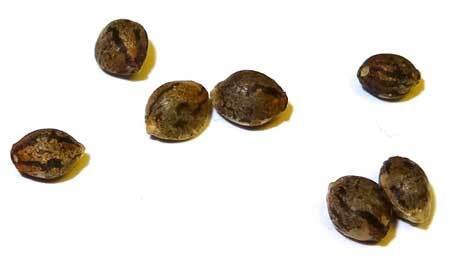 One of the best ways to ensure all your plants end up being female is to start with feminized cannabis seeds from a trustworthy breeder. Can Feminized Seeds Make Hermies? Even if you’re starting with the best, most fresh seed stock, occasionally you’ll get an individual seed or plant that just doesn’t grow as well or quickly as the others, or maybe you’ll get a super awesome seedlings that just starts kicking butts and taking names from its first moment. Natural variation is totally normal! It’s always a good idea to sprout at least a few more seeds than you need in case you happen to run into a runt, or some other expected problem! If all your plants are healthy and growing fast except one, you can blame the seed!